Boundary Setting is the Foundation of Civilization and Individual Success – Erik Kondo – Conflict Research Group, Intl. Boundary Setting is fundamental for human success both on an individual and societal level. 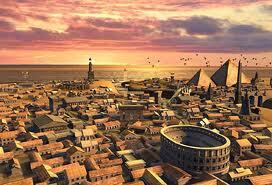 Societies that effectively use Boundary Setting create progress and advance civilization (think of Rome). They are able to build upon ideas and inventions. Societies with ineffective Boundary Setting descend into chaos and mayhem (think of barbarians). Individuals that utilize effective Boundary Setting in their private and public relationships live secure and productive lives. Those that are unable to effectively set boundaries endure lives of insecurity and constant threat of victimization. Boundary Setting is central to human development and unfortunately most people are unaware of how it functions. In fact, when asked about Boundary Setting the most common response is that it “has something to do with personal space”, but that is about as deep as it gets. Boundary Setting is based on the three inter-related concepts of Respect, Communication, and Enforcement. Boundary Setting begins with the establishment of rules. Rules are basically laws and regulations that govern and outline acceptable human behavior. Boundaries are Rules. These Rules can pertain to society as a whole. They can also pertain to the individual in the form of his or her view of acceptable personal behavior. In fact, every entity and organization in society has its own set of Rules that limit and control behaviors. Without these Rules, there is no order. There is confusion. There are misunderstandings and more. Progress is stymied. It is not enough for the rules to be created. The rules must be communicated to everyone in society. In terms of the individual, the rules must be clear to those who interact with him or her. Clear communication of the rules is an essential part of effective Boundary Setting. The rules must be clearly communicated in order to avoid violations that are the result of a misunderstanding of the rules. When the rules are understood, willful violations are the result of a lack of respect for the rules. Following the rules is a sign of Respect for the rules. Violations signify disrespect for the rules. Civilized societies are based on the majority of people having respect for the rules. Respect for the rules is also defined as the Public Trust, when the members of society have faith and trust in the societal institutions and government. When a personal boundary of an individual is violated, if that boundary was clearly communicated, the violation is a sign of lack of respect for the person and his or her boundaries. A willful violation of the rules must be meet with appropriate Enforcement of the rules. Enforcement is designed to create Respect for the rules. Enforcement must be Just-Right in order to create Respect. When the rules are Under-Enforced, the result is contempt for the rules. Under-Enforcement is an action that is not enough (too little) to create Respect for the rules. Societies that create laws but don’t enforce them create contempt. Individuals that don’t enforce violations of their personal boundaries create contempt for themselves. Contempt is a destroyer of Respect. When violations of the rules are met with Over-Enforcement, a Backlash against the rules is created. Over-Enforcement is a response that is too harsh (or perceived to be) in relation to the violation. When governments over-enforce the rules, they risk inciting a rebellion. When individuals over-enforce their boundaries they risk escalating the situation. We are rule governed animals after all. Just reading Steven Pinker’s ‘The Better Angels of Our Nature’. This article corrolates very nicely with the emerging message I a getting from this book and my previous study.